In terms of the American Dream, it does not get better than F. Scott Fitzgerald. He unique vision of a time when climbing to the top meant knocking someone else down, he, more so than other of his time, understood that not everything was as it seemed. While all of his stories embody this image, none are more well-known that that of “The Great Gatsby.” His unique foray into love, lust, betrayal, and dreams is the epitome of a roaring ’20s masterpiece. 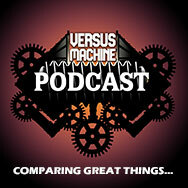 We at the Versus Machine Podcast feel this book is wrought with excitement and action for a possible movie adaptation, and we can also see that Baz Luhrmann’s 2013 adaptation makes its mark. While arguably improving certain actions, it does not capture the essence of what is Fitzgerald’s classic tale. With such a far-gone adaptation, we start our machine. — Do YOU Own A Copy Of The Great Gatsby? Let Us Help! — What exactly were “The Roaring Twenties”? Find out! 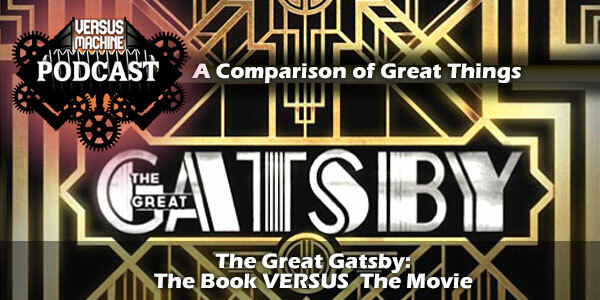 — Which do YOU prefer, The Great Gatsby book or The Great Gatsby (2013) the movie? Be sure to tell us now! — What do YOU remember of The Hype from The Great Gatsby (2013)? Be sure to tell us now! — What impact did reading The Great Gatsby have on YOU? Share With Us!